So, let’s examine how behavioural economics can be applied to the contact centre to create better conversations. There are two different parts of the human brain that we use to make decisions. Ziba Goddard refers to these different sections as “Homer Simpson” and “Spock”. As suggested by their given names, these parts of the brain differ greatly. The Homer Simpson section makes decisions upon instinct alone, while the Spock section makes decisions upon reflection. As we make most of our decisions using this automatic, emotional and effortless section of our brain, we have numerous psychological biases. Ziba highlights three in particular, which are useful for the contact centre to be aware of and “manipulate” in the best interests of the organisation and the customer. Advisors can be taught how to use the following three biases during training sessions or the contact centre could instead choose to rewrite scripts accordingly. Doing either could help to influence customer behaviour. 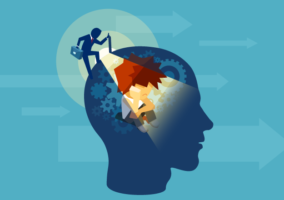 But let’s first take a look at the three examples of cognitive biases, before we discuss how they can be applied to the contact centre. Simply put, authority bias emphasises our liking to follow a leader. This bias highlights the benefits of an advisor taking ownership of the conversation. We tend to trust people in authoritative positions. Therefore, we place more importance on their opinions and contributions. Cognitive overload revolves around the idea that less is more. Knowing this helps us better present options to the customer in the contact centre. Commitment bias is the principle that we, as human beings, are easily hooked once we’ve told another of our commitment to do something. 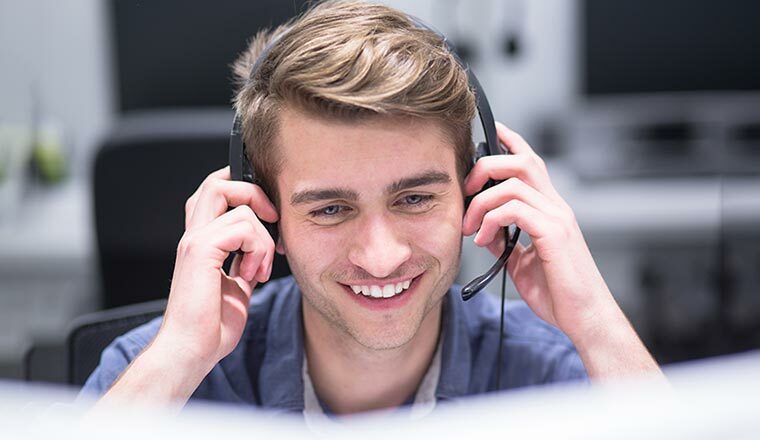 By considering these customer biases and coaching advisors and/or reshaping scripts, contact centres – including Aegon, Fidelity and Saga – have made moves to improve contact centre conversations. According to Ziba Goddard, some contact centres have significantly reduced Average Handling Time (AHT) and improved sales through service and their Net Promoter Score (NPS) by doing so. But how were they able to do this? By changing their contact centre greeting and using more pull communication, as opposed to push communication, the contact centre of a financial services provider was able to reduce AHT by 17%. Advisor: Hello my name is X, how can I help you today? Advisor: OK, before I help you, I need to ask you some security questions. Advisor: Hello, my name is X, I’m a Customer Service Associate here at Y. Can I start by taking your name and Customer Reference Number please? Advisor: Thank you, and so I can help you with your query toady, I’m just going to ask you four quick security questions. In this new greeting, the advisor introduces themselves and their position to highlight their expertise straight away. Also, they immediately take charge of the call by asking a direct question. By taking this authority, the advisor is using pull communication. This involves asking the customer direct questions that guide the conversation and contrasts with overwhelming the customer with lots of information and leaving them to make a decision. Also, see how the advisor promises the customer that they only need to answer “four quick security questions”. This helps to reassure the customer that the security process won’t take long, while signposting what is expected of them, to keep the call moving along. By stating their role in the greeting, using pull communication and signposting where possible, advisors were able to assert more control over conversations. So, by stating their role in the greeting, using pull communication and signposting where possible, advisors were able to assert more control over conversations. By interpreting the authority bias in this way and coaching advisors to do these three things, the contact centre was able to reduce AHT by 17%. Aegon’s contact centre was able to improve sales conversions by 68%, on the voice channel, by changing the way that they presented options to customers. You have 2 options of how to do this here at Aegon, when you are looking at consolidating. One option is to move it into your existing plan and we have an execution-only area that will review this, to check it’s definitely possible. If so, they will send you the relevant paperwork if they agree to process this for you. Alternatively, we have a non-advised service called Retiready which has a personal pension that has been designed for people who are happy to manage their plans online themselves. I will send you an email with the details for both options and this will confirm what information you need to continue. Your current Aegon plan and Retiready plan will have different benefits and charges, so make sure you are comfortable with your choice. Let me know if you want any more information on either option. If you are unsure you should speak to a financial advisor. There is a lot of jargon in amongst the text and it can be better structured, so it’s easier for the customer to understand and to avoid any cognitive friction. 1. The first one is to speak to a financial advisor if you’re unsure about any of the financial options that are available to you. 2. The second option is to transfer your other pension into your existing Aegon plan, which will require a check and paperwork to bring your pots together. 3. The third option is to transfer both pension pots into our new service, Retiready, which allows you to see your current balances online, see how well you’re saving and add more savings whenever you like. By taking this bias into account, Aegon made key changes to the structure of the message, the ordering of information and the language used. The structure was changed to incorporate the “power of three” rule, a writing principle that recognises that the human brain likes “digesting” information in groups of three. Just think of the all the various marketing campaigns that you’ve heard over the years; “Stop, Look and Listen”, “Snap, Crackle and Pop” and “Faster, Higher, Stronger”. Also, each of the three points was introduced as “the first one/the second option/the third option”, so the structure was very simple to follow for the customer. The ordering of information was modified so that the most important piece of information was presented to the customer first. By promising the customer the provision of a financial advisor, at the start of the message, the customer is immediately aware of how they can receive additional support. This means that the customer feels supported before the advisor gives them a large block of information. The language used in the second example is much more conversational, referring to “pension pots” as opposed to using standard industry jargon. Much of the jargon from the first example, such as “consolidating” and “execution-only area”, has been removed from the updated version. This helps the customer feel part of a natural, authentic conversation, while removing the robotic stereotype of when an advisor reads from a script. One contact centre was able to improve its NPS score by +17 to +32 in just five weeks by simply changing the way advisors handled “dead air” time. This is in respect of both the authority bias and the commitment bias. Dead-air time is the period of time when neither the advisor nor the customer is talking during an interaction. This often occurs when the advisor is searching through a system or interacting with another member of the team to find information to help answer the customer’s query. Advisor: I’ll just have a look on the system. Customer: Are you still there? Advisor: If I go quiet for a few moments, it’s because I want to make sure I have the most accurate and up-to-date information for you. Again, by signposting their actions and “introducing” the dead-air time in this way, the advisor is taking control of the call and ownership of the silence. Also, by guiding the customer through the conversation, the advisor is playing to the customer’s authority bias. In addition, the advisor makes a commitment to the customer, in this example, to have “the most accurate and up-to-date information”. While this hooks in the customer, who is assured of the reason for the silence, it may also help to improve the advisor’s performance. If the advisor were to verbally commit to the customer that they will get the best possible information for them, they are more likely to do so than if they were to instead say: “I’ll just have a look in the system”. This is as per the commitment bias. As customers mostly make decisions on impulse, discovering cognitive biases like the authority bias, cognitive overload and the commitment bias will give you insight into how these “impulses” work. Then, you can adapt your customer service approach to trigger impulsive thoughts and decisions that work in the best interest of the customer and your organisation. 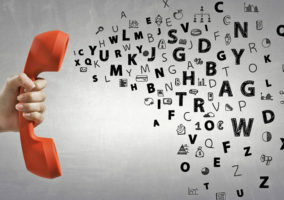 Some contact centres have used their knowledge of these biases to better signpost their scripts, cut out dead air and change their communication style. This has led to reduced AHT, improved NPS and sales through selling. So, by finding practical applications for psychological principles in the contact centre you may be able to find the key to winning conversations with customers.